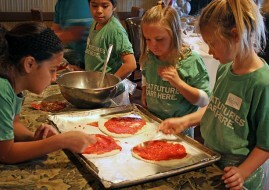 Orange County is home to some of the most exciting and progressive cuisine in the country, and a lot of it is inspired by kids. 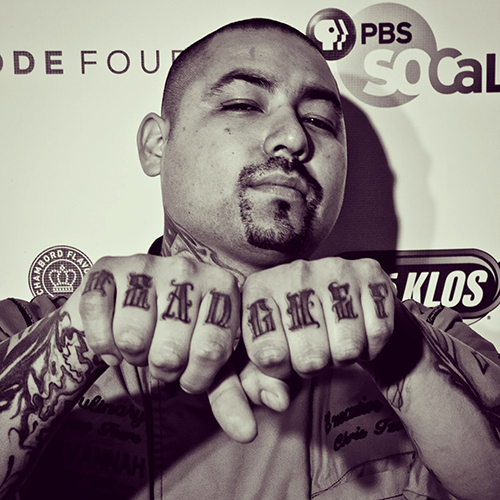 We caught up with some of Orange County’s finest to see who they cook for… and with. 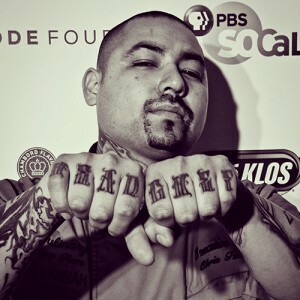 Gabriel Caliendo helped found the concept of Lazy Dog Café in 2003. Since then, his menu has been an instrumental factor in Lazy Dog’s recession-defying success, and his own children serve as inspiration for the family-pleasing cuisine for which the OC-grown franchise has come to be known. 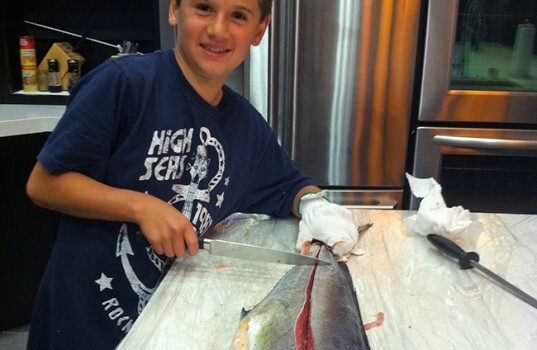 Chef Gabriel’s parents, who are immigrants from Naples, Italy, are in the deli business and taught him how to cook from the time he was a child. It’s a heritage Chef Gabriel has handed down to his own son Kaden (12) and daughter Makayla (10), who can often be found in the kitchen with Dad. 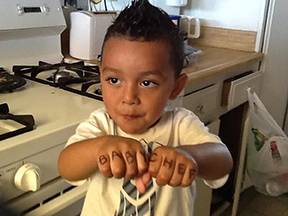 Chef Lindsay’s son Diego already rules the kitchen. Find out more about Chef Gabriel and Lazy Dog Café at lazydogrestaurants.com. 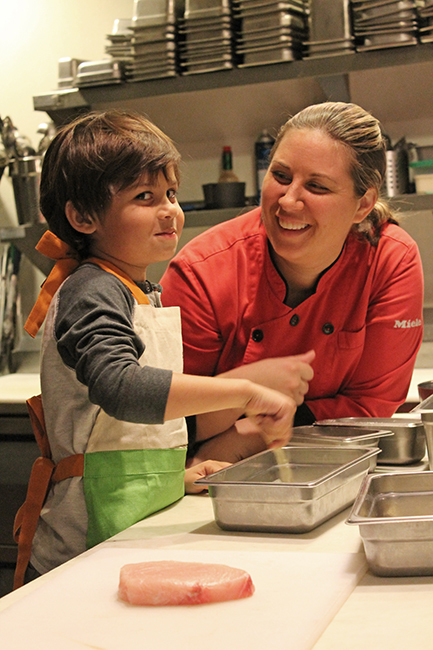 value held by her parents, which they imparted to her so effectively that “healthy” is as much a pillar of Chef Lindsay’s menu as are “delicious” and “refined.” Today, Chef Lindsay passes on those values to her son Diego, five years old and rocking a steak knife. 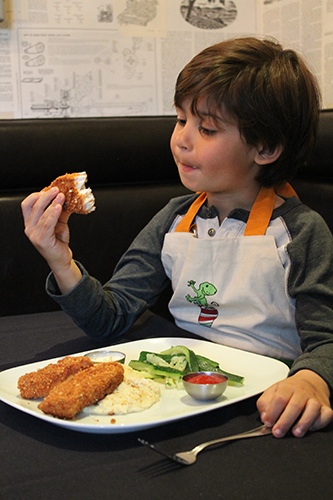 Diego enjoys the swordfish sticks he just make with his mom. mom and that his friends can come have dinner at the restaurant where he can show them the kitchen and the “back river” (watershed ravine). Diego’s favorite task? Garnishing (i.e. making the meals look “not bad flavored”). Find out more about Chef Lindsay and Nirvana Grill at nirvanagrille.com. for a position, Chef Pascal scooped him up as Executive Chef for Savannah Chop House, where he has totally reinvented the menu for the better. 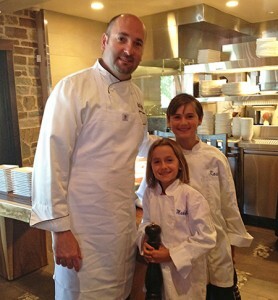 Find out more about Chef Chris and Savannah Chop House at savannahchophouse.net. Chef Peggy is eagerly apprenticed by her grandson Logan. Chef Peggy Jane Mead is the daughter of a baker who herself became a baker when she and her husband Gary decided, almost on a whim and on the dawn of their retirement, to open their own little coffee shop and reading room in Old Towne Orange. 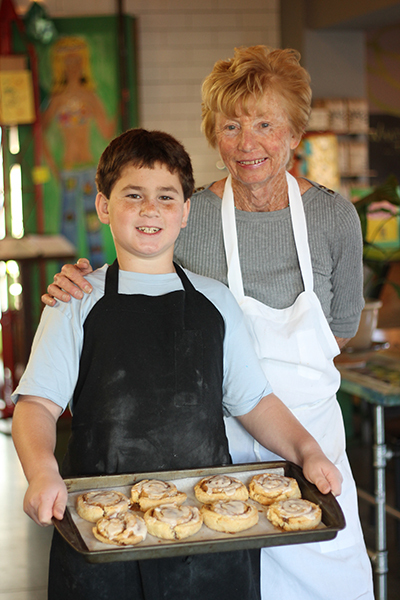 From that first small shop, to the full-scale restaurant in a converted church called PJ’s Abbey, to Mead’s Green Door Café now managed by her son Gary, Jr., Chef Peggy has been baking with her five children and innumerable grandchildren. On any given day at Green Door, there’s a Mead grandchild behind the counter, in the kitchen or at a table. 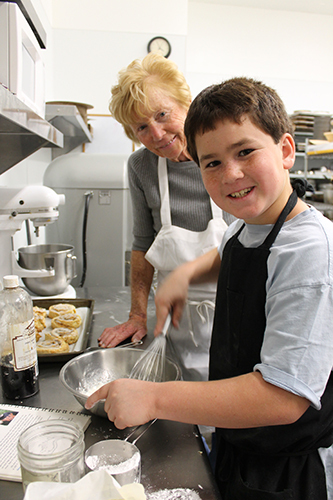 Her 10-year-old grandson Logan has become a baking buff and can often be found in the kitchen with grandma, flour-smothered and bright-eyed. 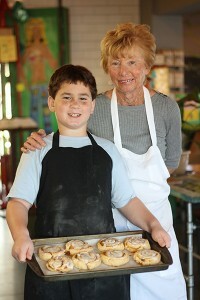 Chef Peggy and Logan with their famous cinnamon roles at Mead’s Green Door Cafe in Orange. Find out more about Chef Peggy and Mead’s Green Door Cafe at meadsgreendoor.com.